Here is the second entry into what I hope will be a very long series where I introduce our lab's members. 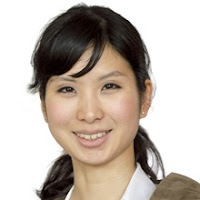 Next up is Haruna Imamura (pubmed), an interdisciplinary postdoc with experience in mass-spectrometry and informatics. I first joined the biological network analysis group in my undergraduate course in the lab of Masaru Tomita at Keio University (Japan). I launched a project, which applied the concept of network analysis to a dataset of phosphorylation dynamics. Because of this experience, I grew increasingly interested in resolving the biological importance of phosphorylation in the context of signal transduction and began to study phosphoproteomics. From my master’s course, I joined the proteome group led by Yasushi Ishihama, in the same university, and learned proteomics-related experimental skills, including phosphorylation enrichment and mass spectrometry (MS) manipulation. As Prof. Ishihama moved to Kyoto University (Japan), I also moved and started my PhD course there. My PhD project was to determine the protein kinase selectivity towards their substrates (Imamura et al. 2014, Imami et al. 2012, Imamura et al. 2012) . We analysed lysates after in vitro kinase reactions and identified phosphorylation sites with MS to obtain kinase/substrate relationships in a high-throughput manner. The information obtained in the study would allow connecting already accumulated phosphorylation data to kinases. As MS has been improved dramatically, nowadays there are more research studies coming up with a long list of identified phosphopeptides. However, it is revealing that only a small fraction of modification sites seem to have an important function in biological systems. So the next challenge in this field is mining functionally important phosphorylation among the pool of ‘junk’ phosphorylation. In this context, I mainly had three wishes for my post-doc project: (1) to be able to contribute through proteome experience, (2) to learn more about informatics, and (3) to reveal important phosphorylation in biological systems. I found Pedro’s group to be a great environment for it, and I asked him for position availability. Fortunately, there was a project that matched my background, and here I am. I am working on a project to study how phosphorylation in host cells is changed by the infection of Salmonella. Salmonella is a facultative intracellular pathogen that is one cause of diarrhoea in humans. The process of infection is like a series of offensive and defensive battles between Salmonella and the host cells. Salmonella tries to hijack and utilise the host’s cellular system for its proliferation, while the host cells tried to eliminate them by activating an immune response. Among various changes happening in the cells, post-translational modifications, including phosphorylation, play important roles. We use Salmonella enterica serovar typhimurium as a model system and study host cell-lines that have been infected in a time-course. Their phosphoproteome are analysed using MS, and the experimental dataset was combined with other publicly available information by informatics to find out key regulations for Salmonella infection. I am an EIPOD fellow, which is a programme from the EMBL Interdisciplinary Postdocs (EIPOD) initiative, promoting interdisciplinary research at EMBL. This work is a collaboration with the Typas lab in EMBL-Heidelberg, which is an expert of microbiology and genetic interactions. The MS analysis has been done with the help of the Proteome core facility led by Jyoti Choundhary in the Sanger institute. With the current technology, phosphoproteome analysis with MS still requires a group of cells. It means the outcome would be averaged among a variety of cell populations. So I am interested in some projects attempting to do single-cell whole-proteome (or even phosphoproteome). Also, cellular imaging interests me, as it would be a complementary technology to MS. For example, mass cytometry could capture and quantify phosphorylation at the single-cell resolution in a systematic way, which enables the study of phosphorylation signalling on intercellular communications. Besides, out of curiousness, I am interested in research which raises doubt regarding ‘self-consciousness’. For example, in molecular-scale, ‘behaviour epigenetics’ is one of the attractive topics for me, which describes how nurture shapes nature. Also, ‘gut-brain axis’ is gaining more attention, as it is shown that the gut microbiota communicate with the central nervous system and influence the brain. How true is ‘you are what you eat’? Finally, in macro-scale, one of my favourite videos from TED (Suicidal crickets, zombie roaches and other parasite tales) talks about some surprising incidences where parasites control the host brain and can change its behaviour. What sort of things do you like outside science? I have fun horse riding since a year ago. I have always wanted to do it since I was in Japan, and the environment here inspired me to start. The stable is about 15 mins by bike from the institute, so I can go there to have class once a week after work. It is good exercise and riding horses is relaxing. Also, it is fun to talk with people there who love horses and learn hands-on biology. I am trying to build a better relationship with the horses, who have a variety of personalities. In daily life, I usually go to the gym for running. It is becoming a routine in my life after I began when I was a PhD student. It helps me to clear my mind and gives my brain a chance to refresh. Running a marathon is one of the things on my bucket list, but I have to put more effort in to achieve it.